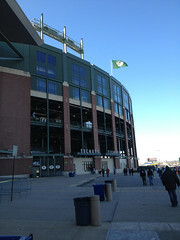 A CRISP WIND rolled across Lambeau Field on a sunny, December day. 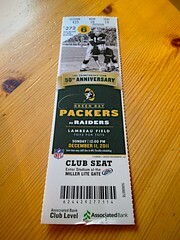 My pilgrimage to Green Bay to see the Packers host the Oakland Raiders was my second — the first happened many years ago when I was just a child. 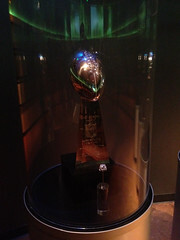 Lambeau is a beautiful stadium, updated in such a tasteful way that tradition is maintained while wrapped in a well-designed, modern structure. 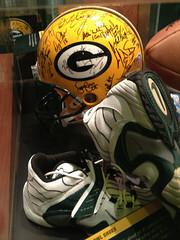 The Packer Hall of Fame was a treat, featuring all sorts of items and artifacts from previous teams, players and championships. I can't wait to make a return trip, to spend a full day exploring the Hall in detail. 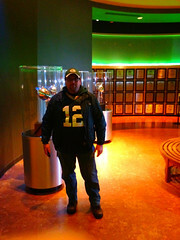 The game experience was wonderful. 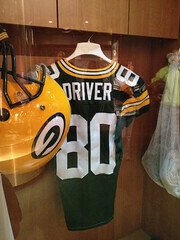 Our seats were ideal, with a great view of the field and access to Lambeau's club level. 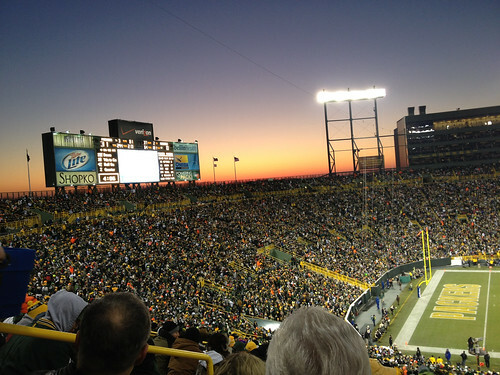 Cheering fans and a 46-16 win over the Raiders completed my "Frozen Tundra" experience.